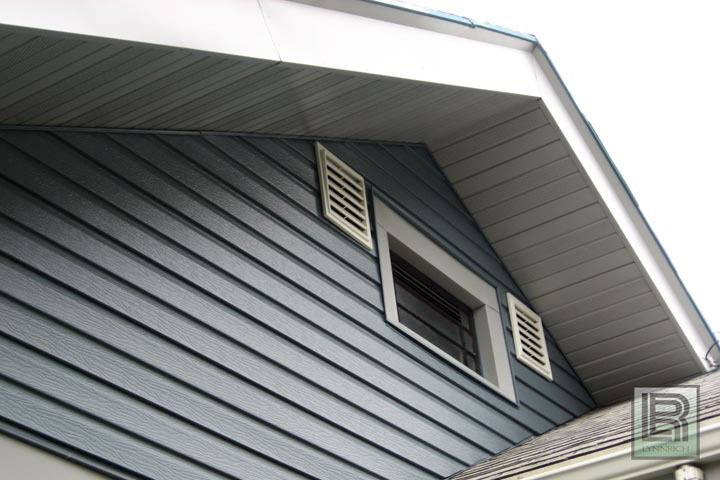 The wonders of nature are truly amazing… but they can also be hard on your home. 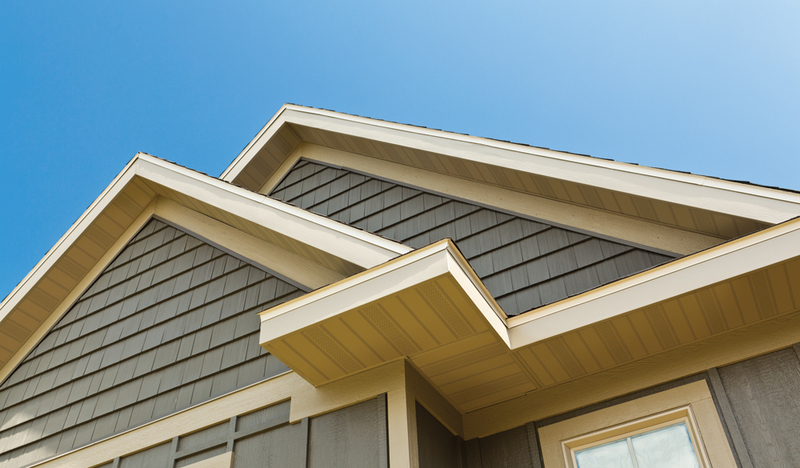 Eaves, overhangs, porch ceilings, and fascia — often the least noticed areas of your home’s exterior — can blister, peel or rot. 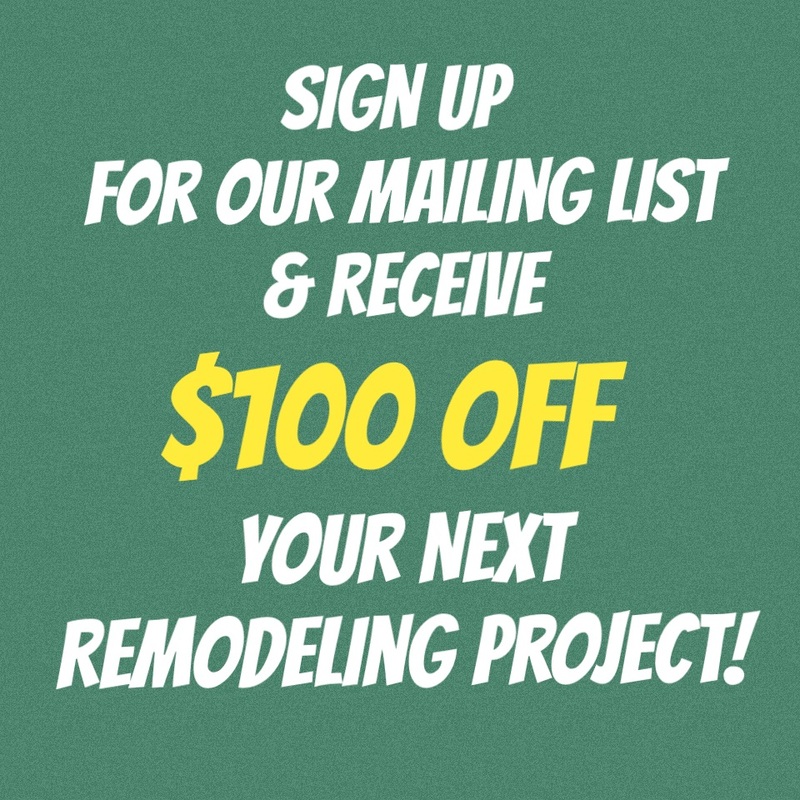 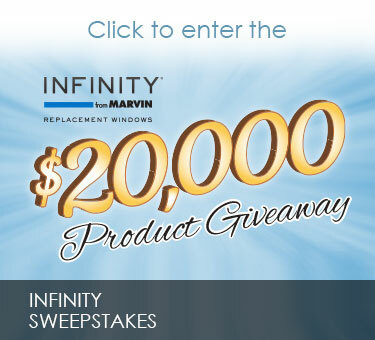 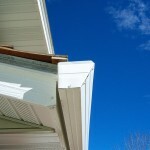 Suddenly you’re faced with a costly maintenance problem that affects your home’s value & appearance. 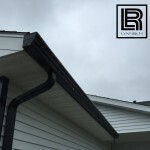 Lynnrich rain carrying systems are designed to effectively channel the water to run off your roof and away from your home. 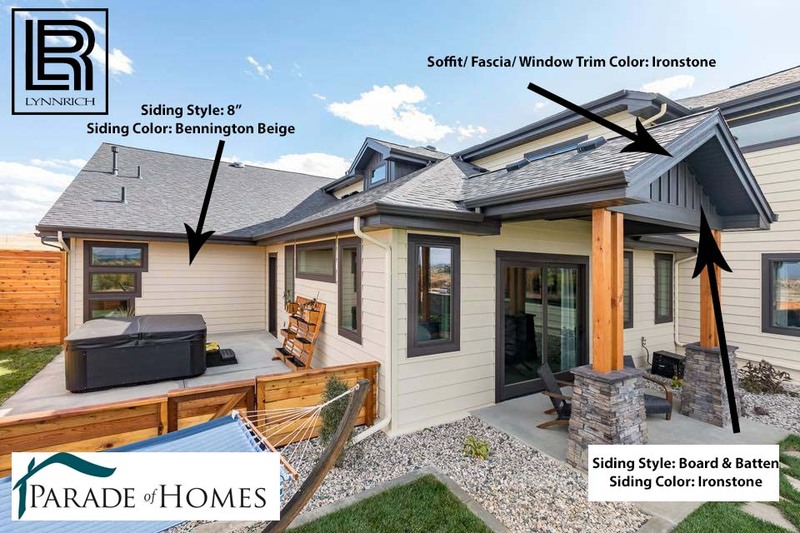 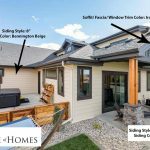 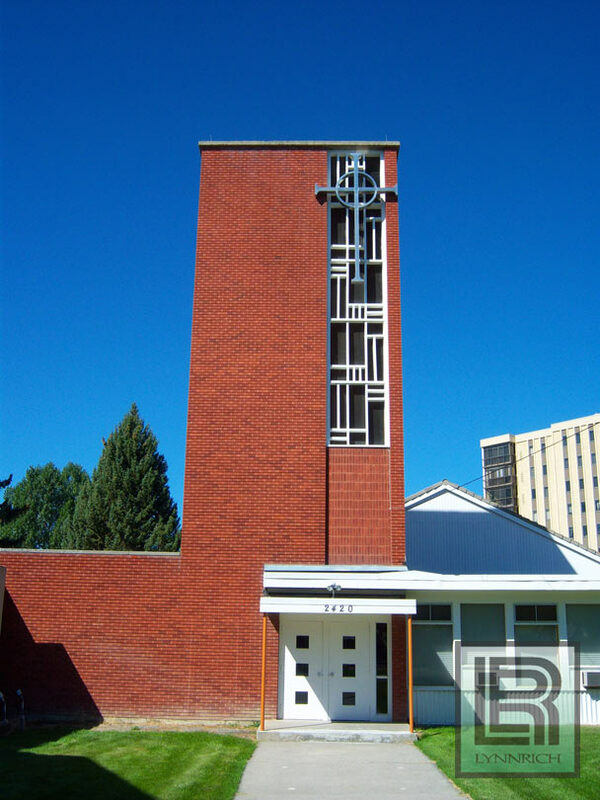 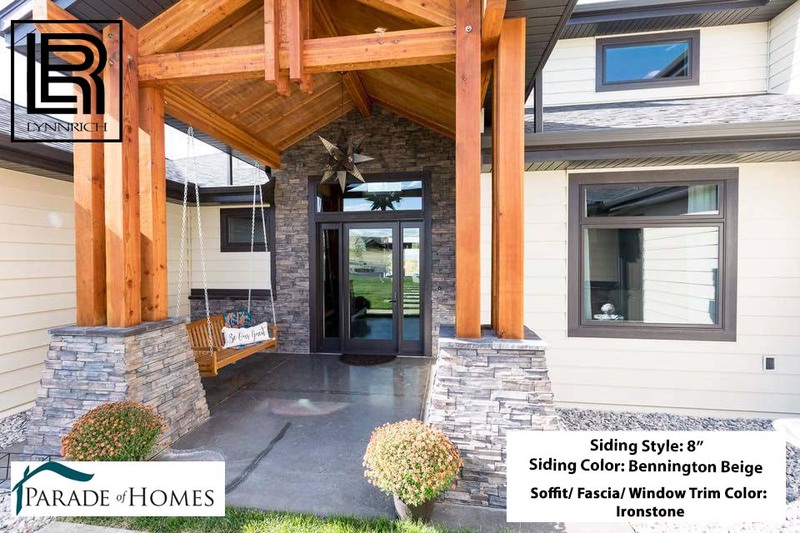 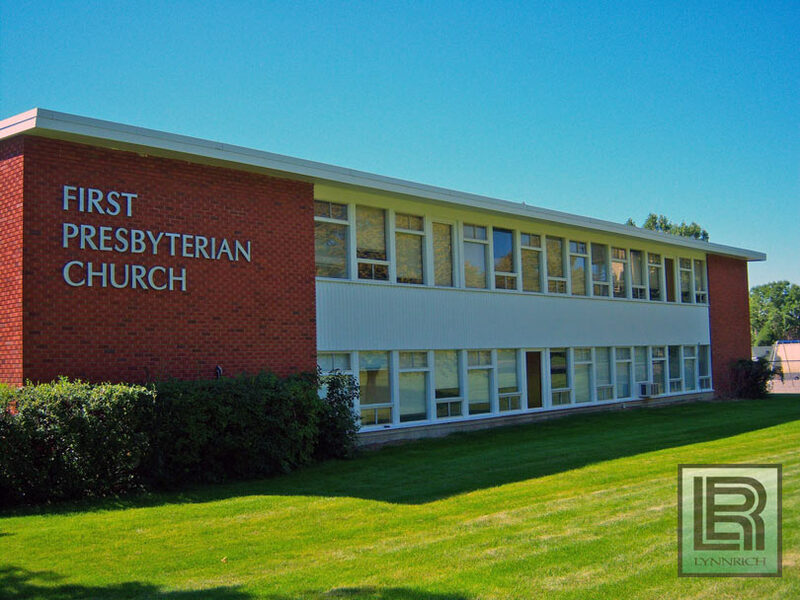 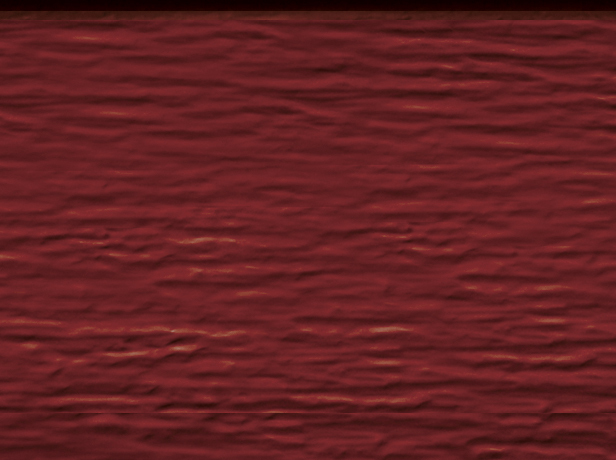 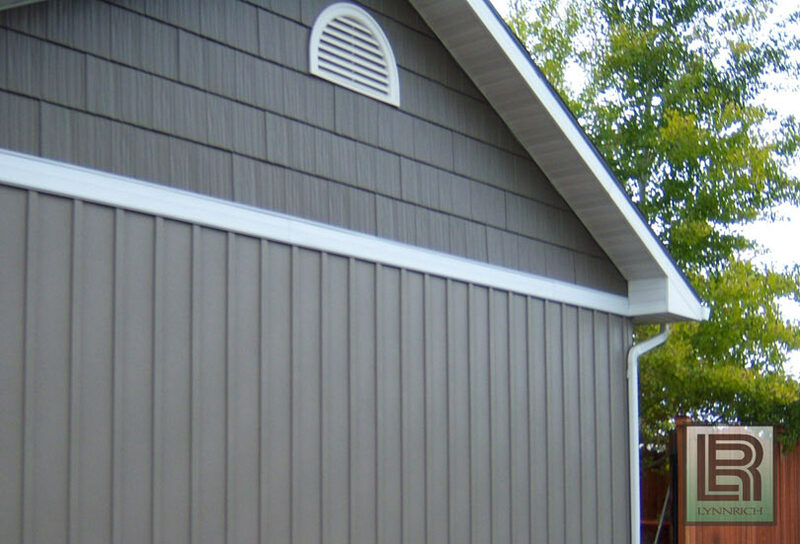 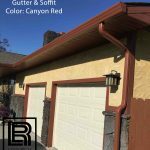 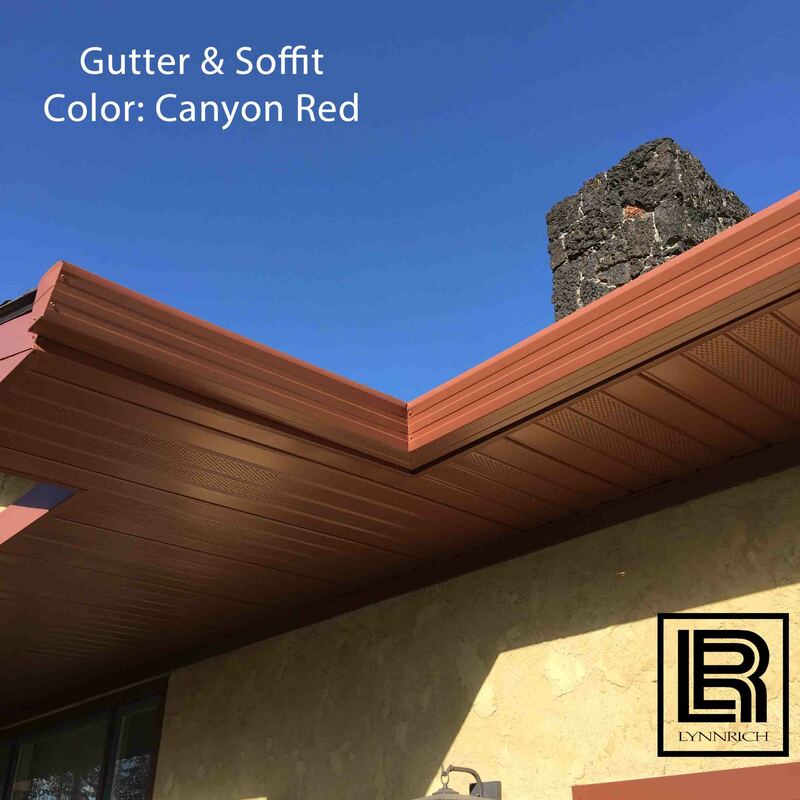 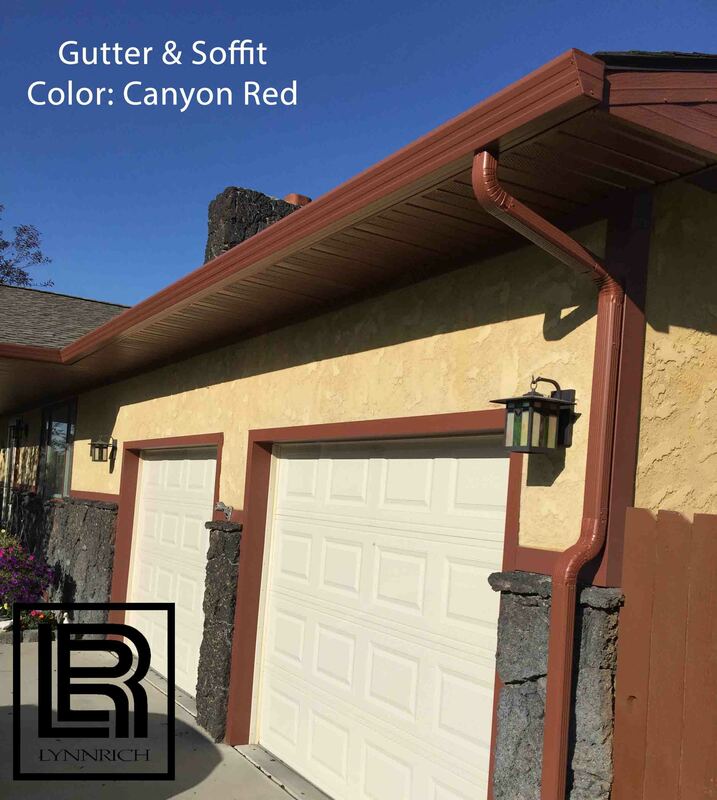 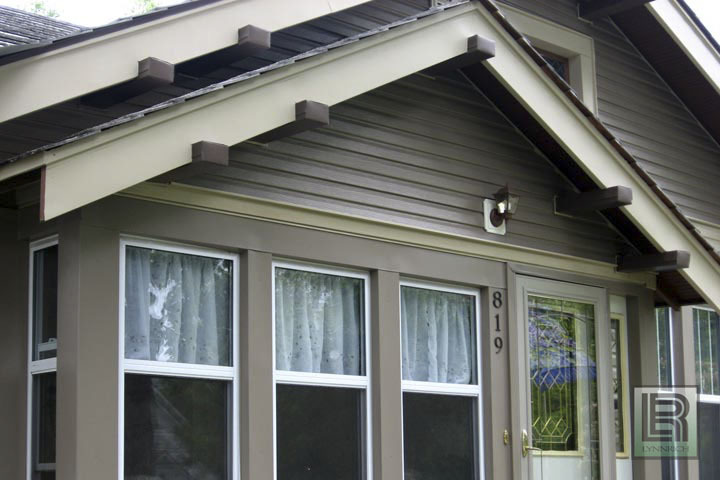 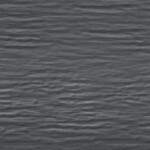 Like our soffit and fascia, the rain carrying system is available in a full palette of colors and styles, allowing you to create a beautiful finishing touch. 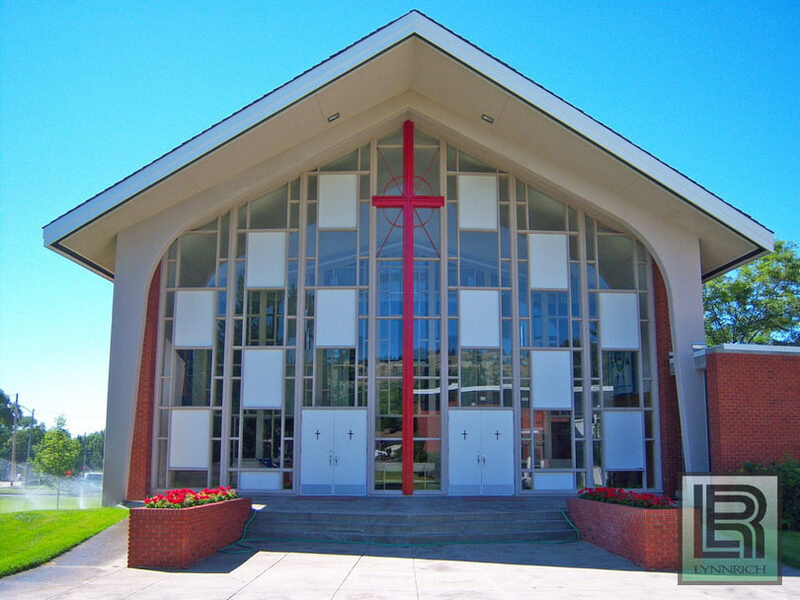 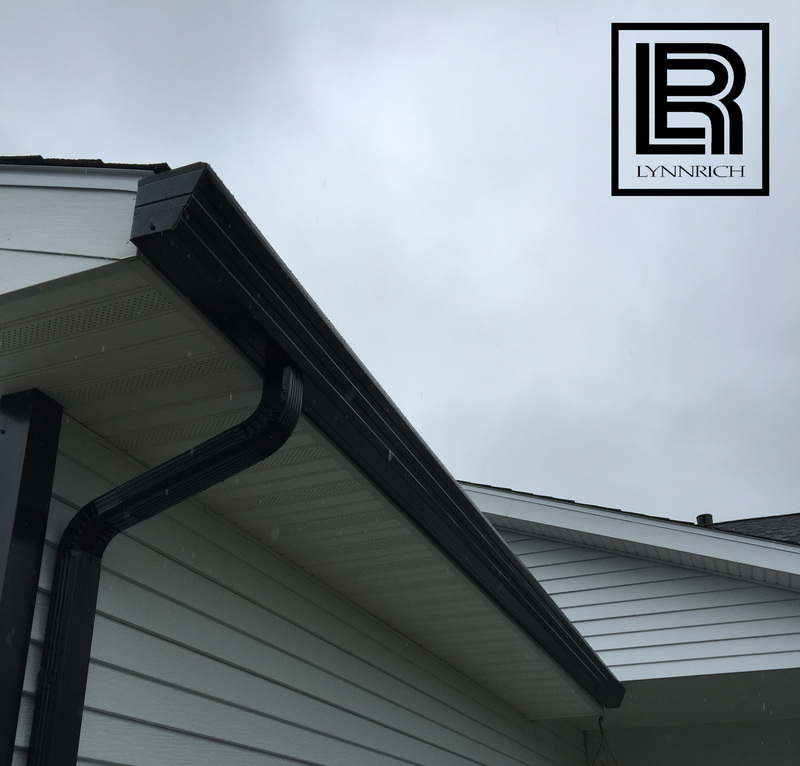 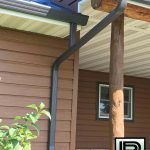 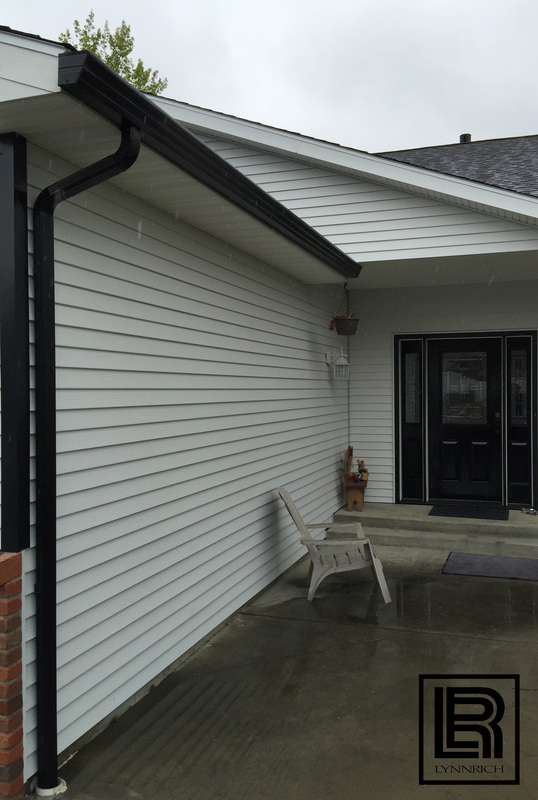 Lynnrich rain carrying systems include seamless gutters, elbows, downpouts, miters and other attractive accessories. 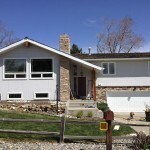 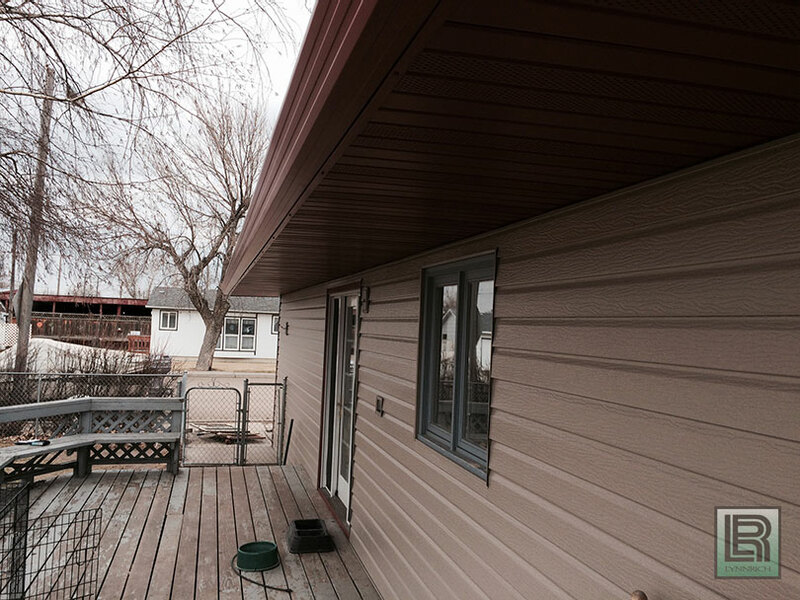 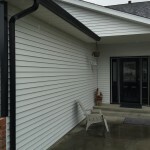 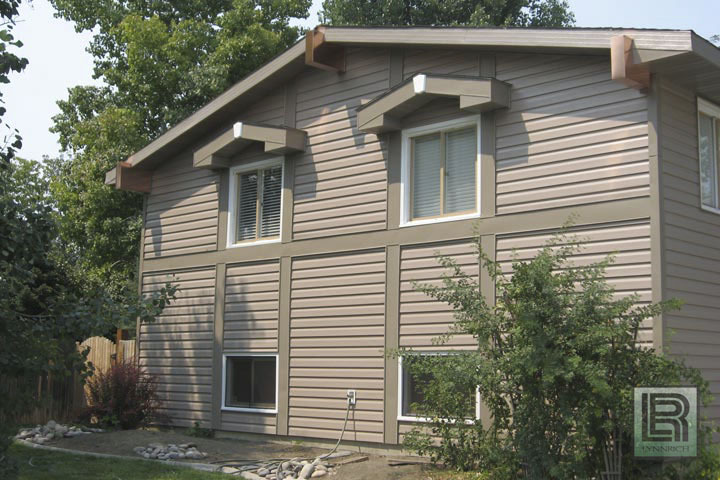 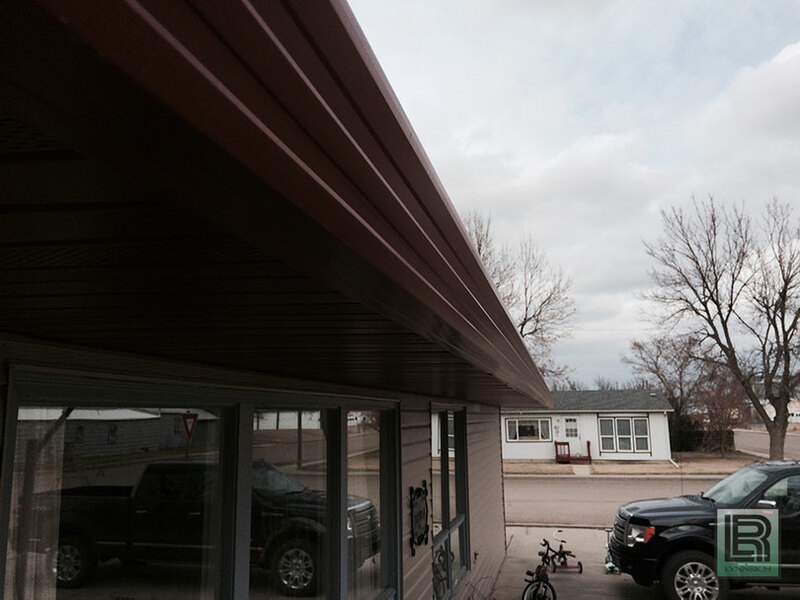 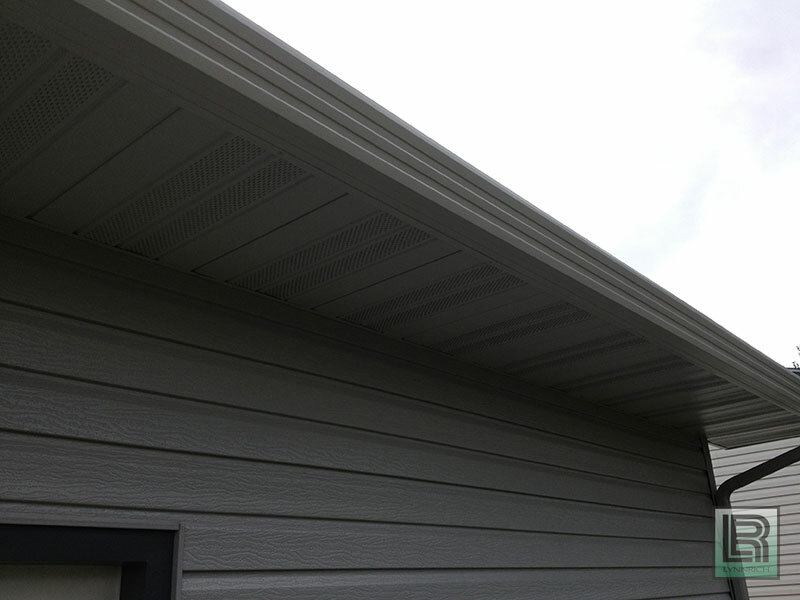 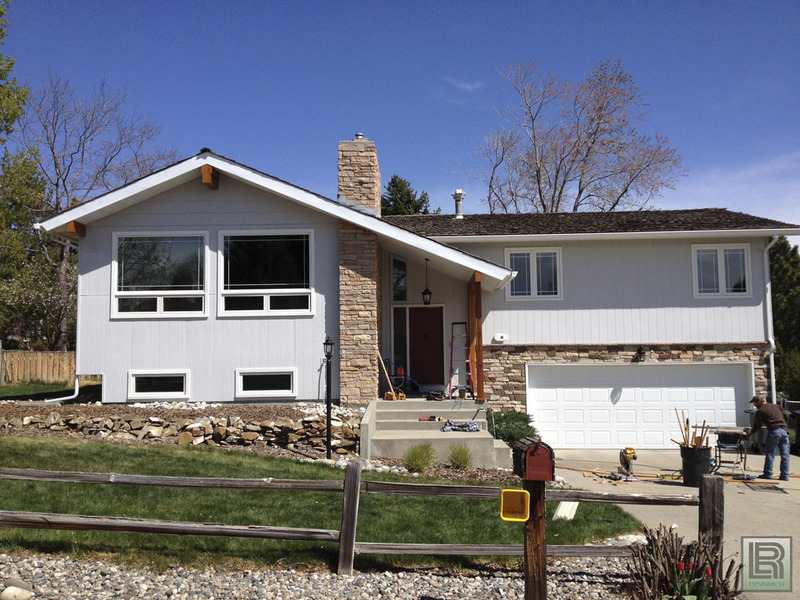 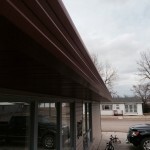 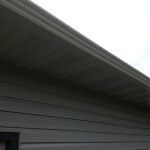 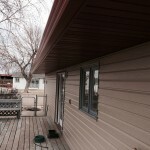 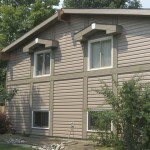 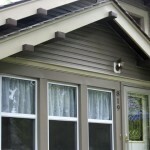 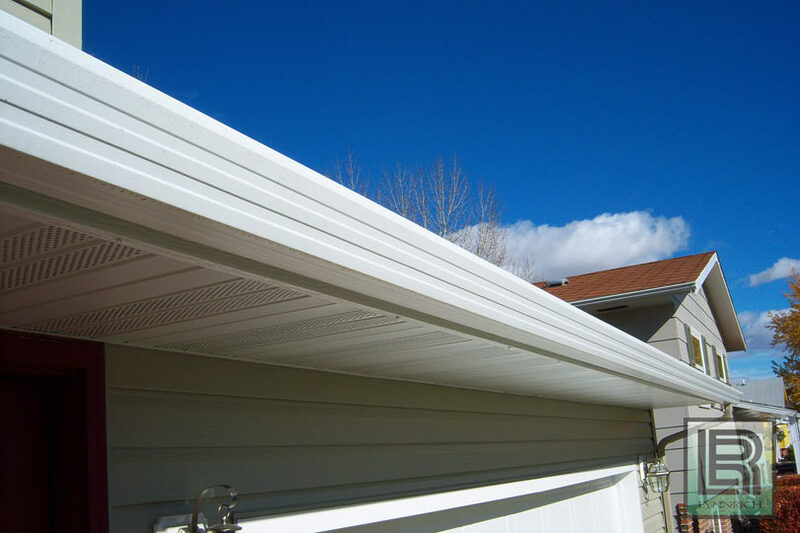 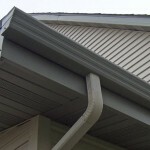 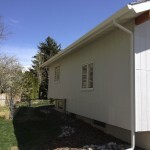 Our seamless gutters are custom manufactured on site by trained professionals. 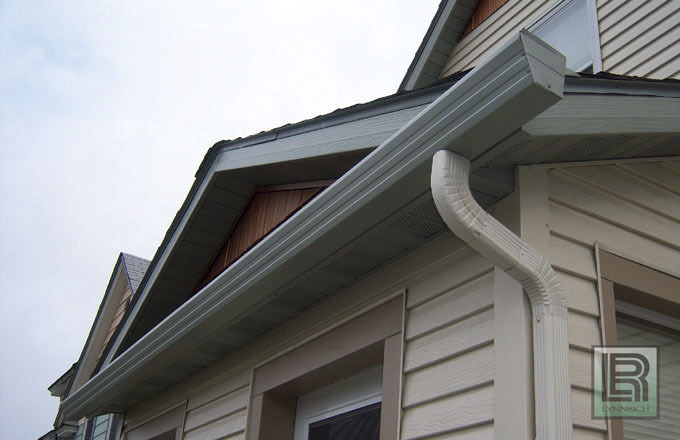 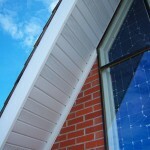 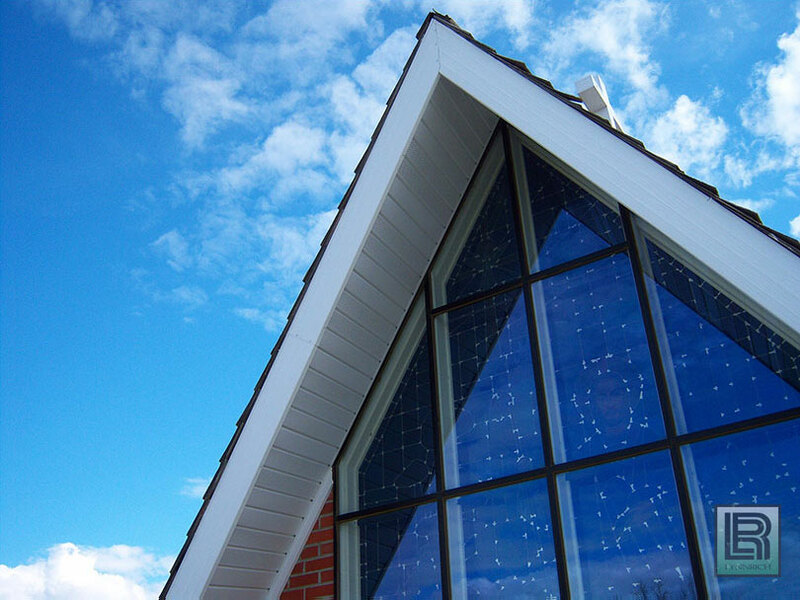 Our hidden gutter hangers replace the unsightly spike and ferrule method used by other companies. 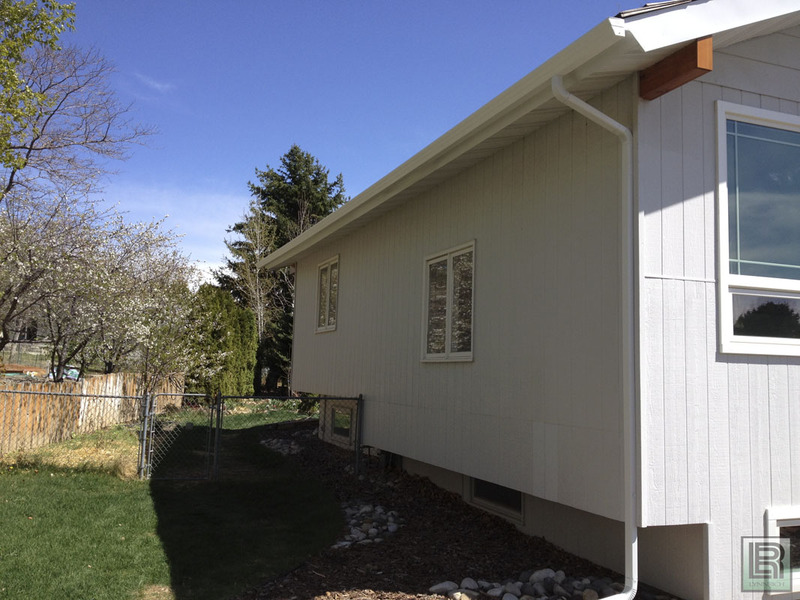 These hidden hangers are designed to provide greater support and a cleaner seamless look. 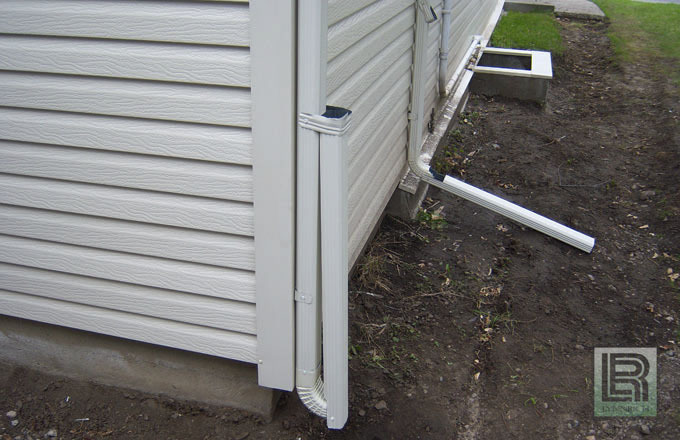 By securing the gutters with 1 1/2″ screws, the chance of saggy, leaky gutters is greatly diminished. 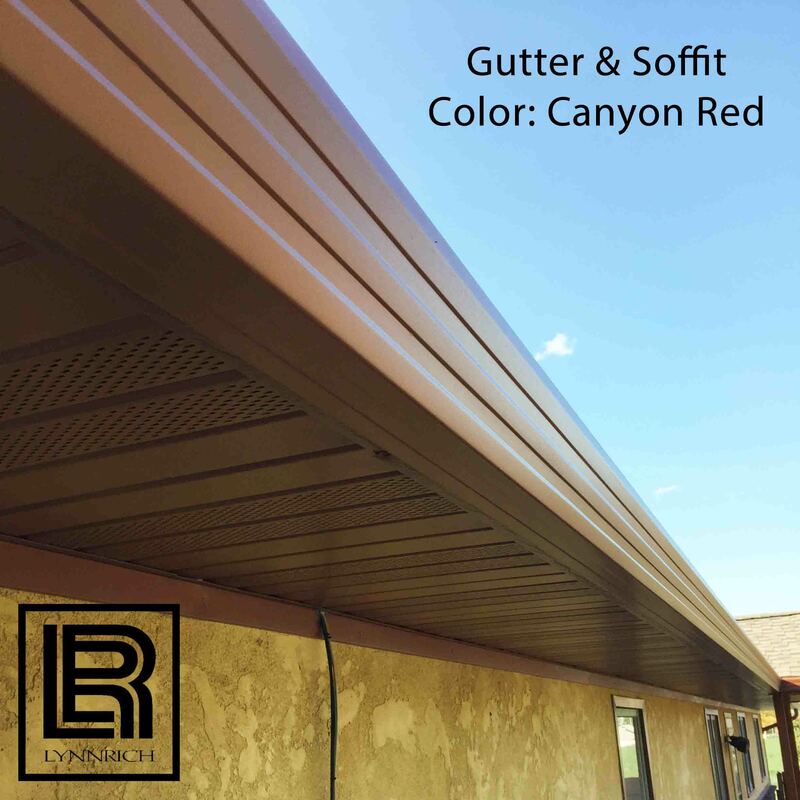 Let Lynnrich add the finishing touch to making your home virtually maintenance-free with our soffit, fascia & gutter system. 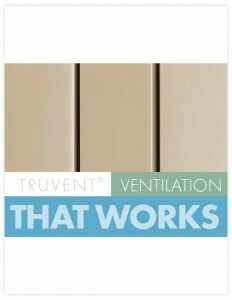 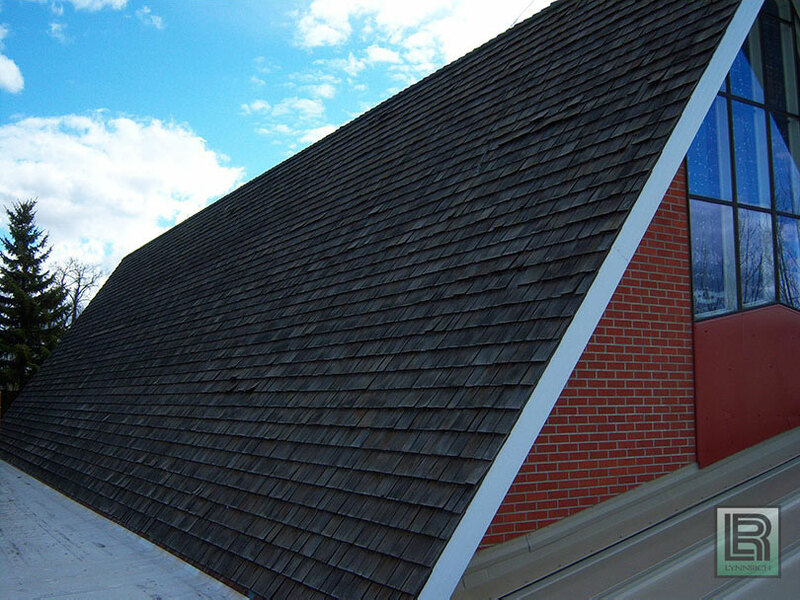 TruVent®, patented Hidden Vent Soffit provides the right amount of airflow (11 NFA) to work with most ridge vent systems, while maximizing the architectural integrity of your overhangs. 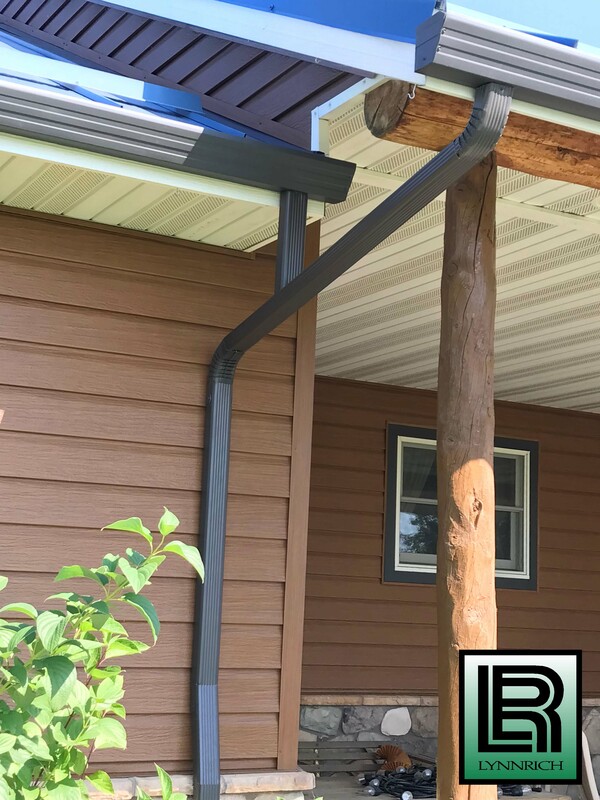 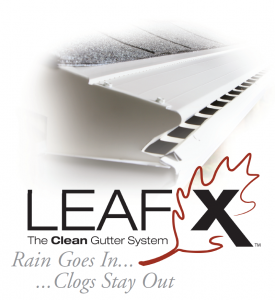 The Flex-Drain collects additional water through the vertical perforations and bends to allow your system to custom fit your exact roof pitch. 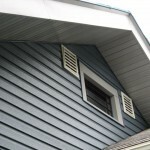 The nose forward cover extends past the gutter lip. 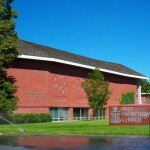 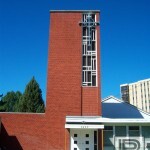 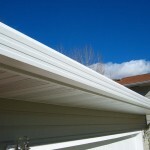 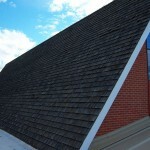 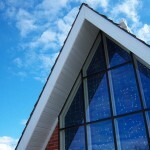 allowing water to follow the curve of the hood and flow into the gutter, while leaves and debris are effectively shed. 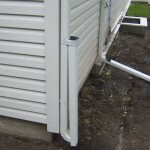 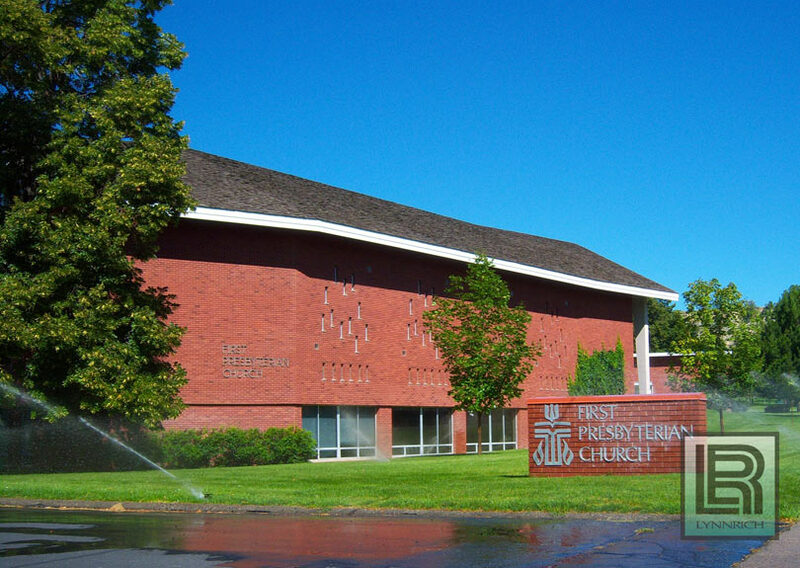 The preset opening keeps water where you want it-flowing through your gutters. 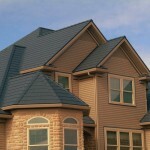 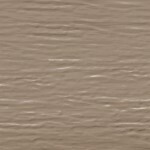 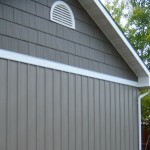 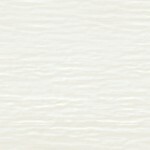 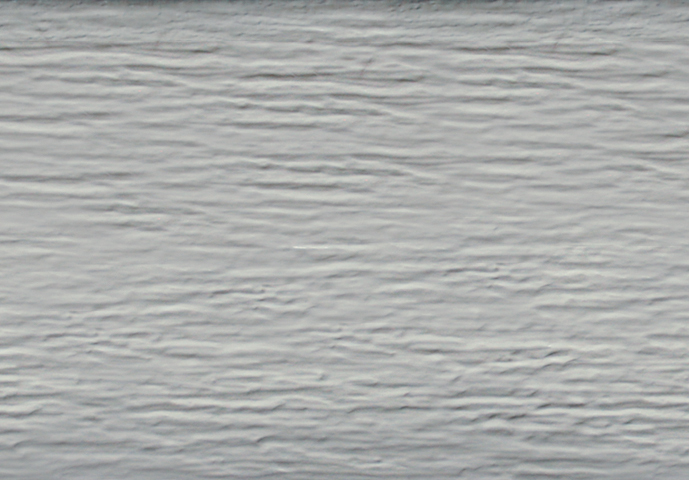 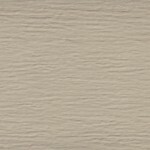 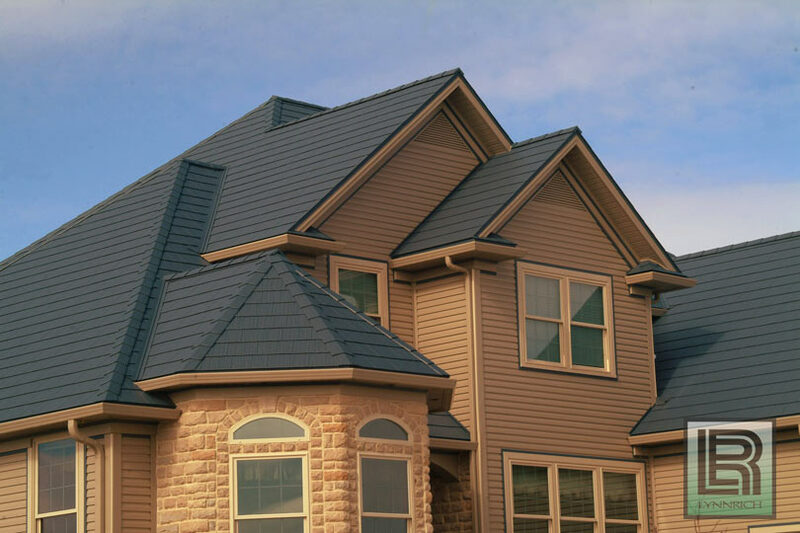 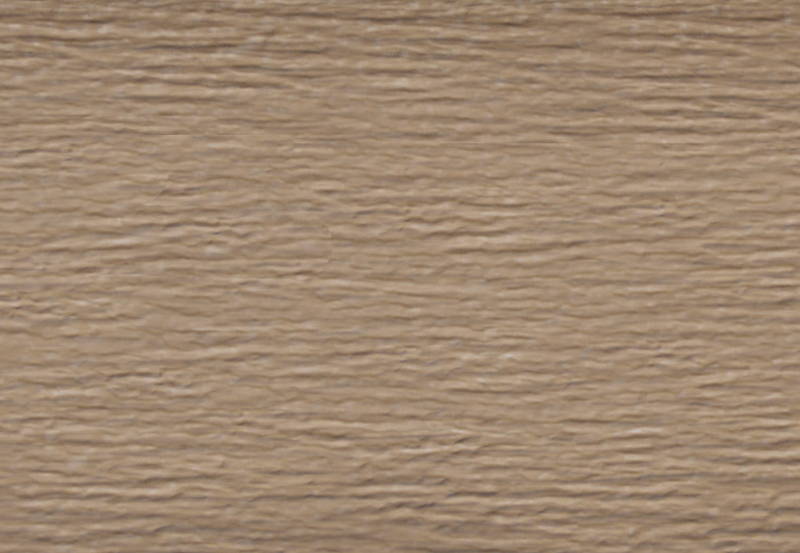 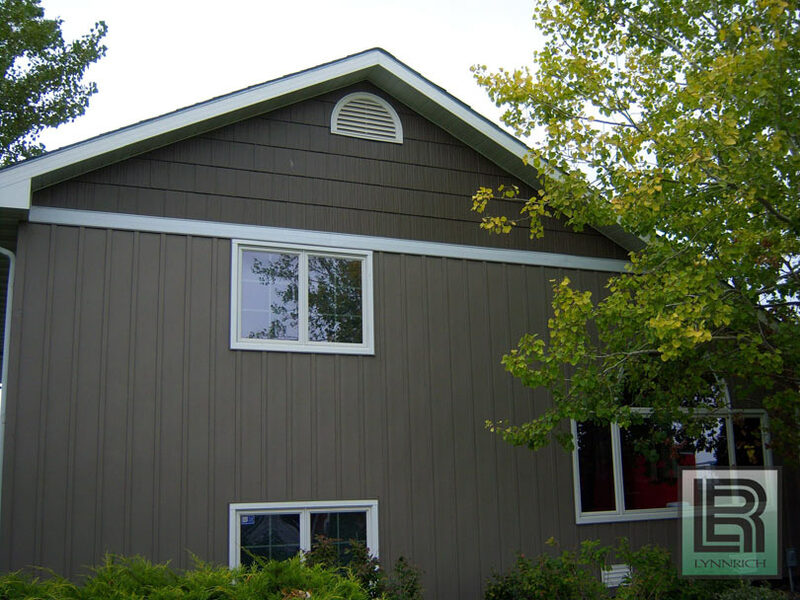 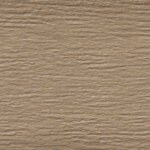 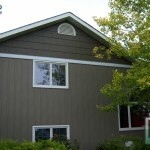 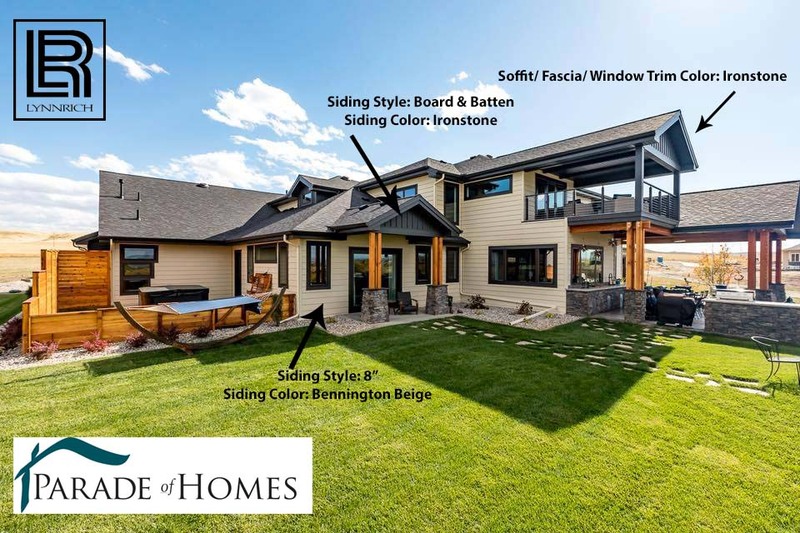 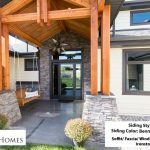 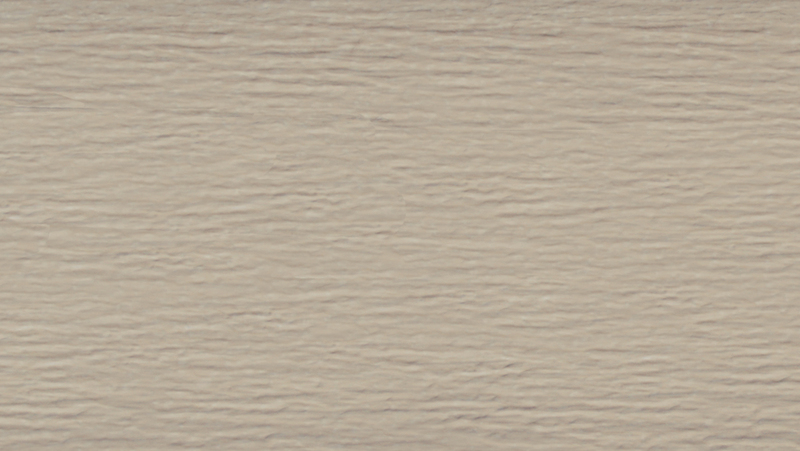  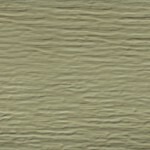 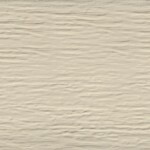 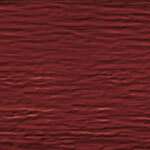 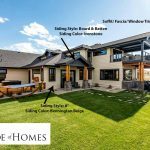 The low-profile design and variety of matching colors available combine to enhance the appearance of your home. 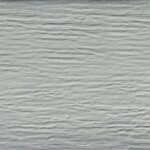 The ridges slow water, forcing it to sheet rather than flow in streams. 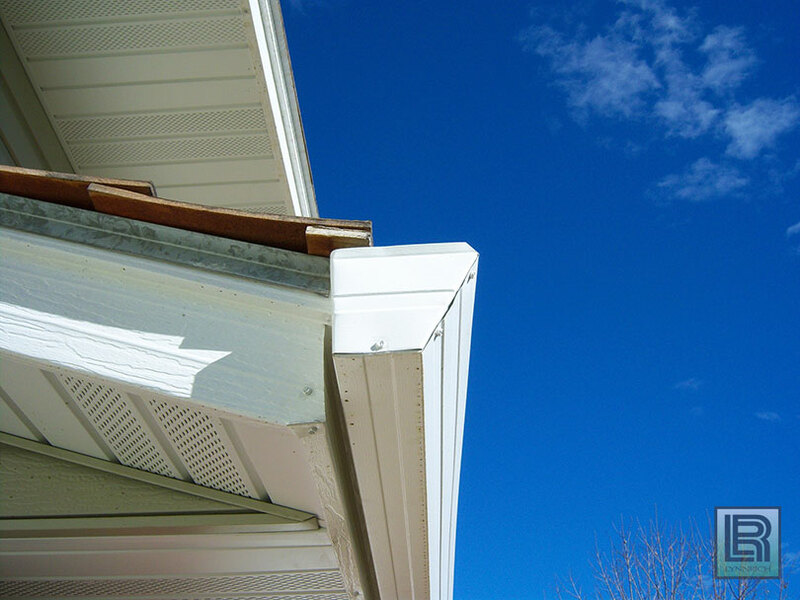 The ridges also strengthen the system, allowing LeafX to handle the heaviest snow and ice loads. 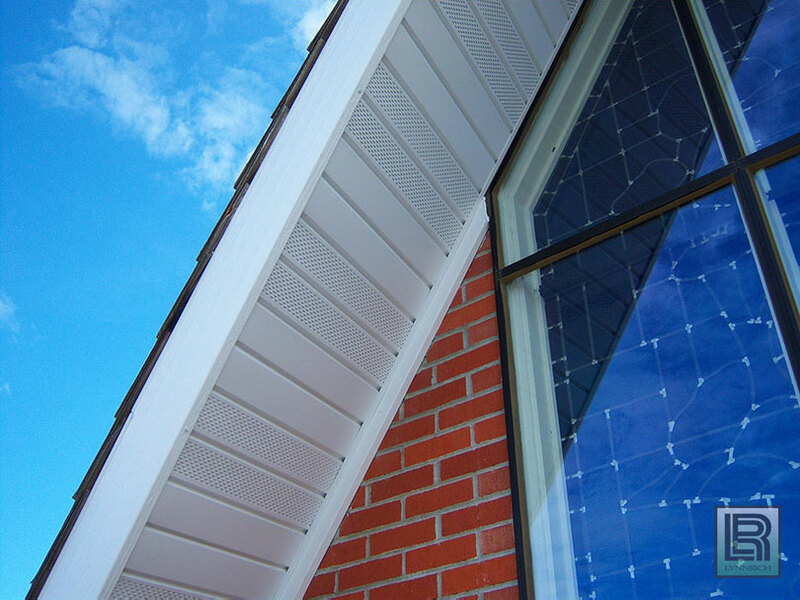 Factory preset installation guides allow fasteners to be recessed, thereby maintaining a seamless and uniform appearance. 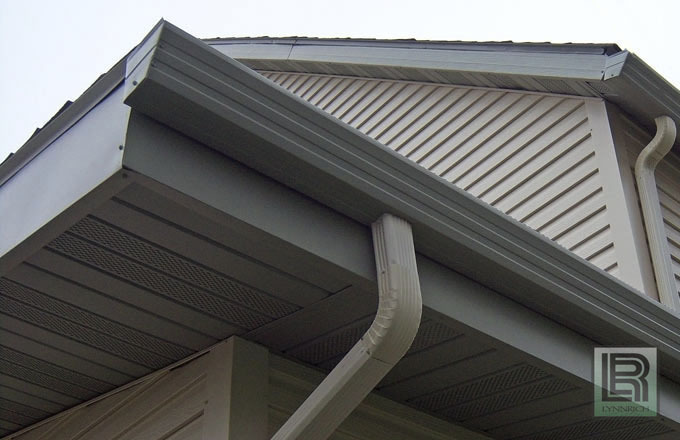 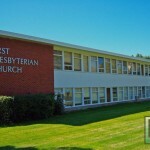 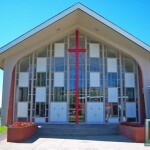 Unobstructed gutter allows water to flow freely. 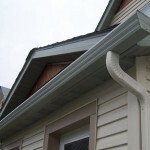 Handles any rainfall on record.